An indirect presidential election was held to choose the President of the United Nations General Assembly on 13 June 2016 to replace Mogens Lykketoft and preside over the Seventy-first session of the United Nations General Assembly. It was the rotational turn of the Asia-Pacific Group to preside over the session. Peter Thomson was elected with 94 votes for and 90 votes against. This was the first time since 2012 that there was no consensus candidate from the regional groupings, thus invoking a secret ballot vote. His tenure begins on 13 September 2016. The Declaration on the Granting of Independence to Colonial Countries and Peoples, also known as the United Nations General Assembly Resolution 1514, was a resolution of the United Nations General Assembly during its fifteenth session, that affirmed that the resolution also provided for the granting of independence to colonial countries and peoples. It was adopted by the UN General Assembly on December 14, 1960. 89 countries voted in favour, none voted against, and nine abstained: Australia, Belgium, Dominican Republic, France, Portugal, Spain, Union of South Africa, United Kingdom, and United States. Except for the Dominican Republic, the rest of those countries that abstained were colonial powers. The Declaration also cited by International Convention on the Elimination of All Forms of Racial Discrimination. This is a list of United Nations General Assembly resolutions at the sixty-seventh session of the United Nations General Assembly. María Fernanda Espinosa of Ecuador has been elected as the UNGA President of its 73rd session beginning in September 2018. United Nations Day is devoted to making known to people of the world the aims and achievements of the United Nations Organization. United Nations Day is part of United Nations Week, which runs from 20 to 26 October. 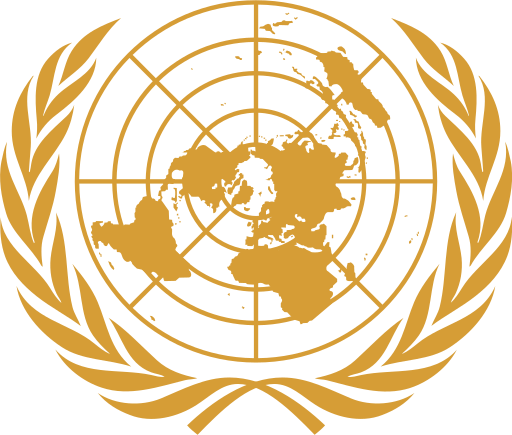 In 1948, the United Nations General Assembly declared 24 October, the anniversary of the Charter of the United Nations, as which "shall be devoted to making known to the people of the world the aims and achievements of the United Nations and to gaining their support for" its work.In 1971, the United Nations General Assembly adopted a further resolution (United Nations Resolution 2782) declaring that United Nations Day shall be an international observance or international holiday and recommended that it should be observed as a public holiday by United Nations member states. United Nations General Assembly Resolution 3379, adopted on 10 November 1975 by a vote of 72 to 35 (with 32 abstentions), "determine[d] that Zionism is a form of racism and racial discrimination". The vote took place approximately one year after UNGA 3237 granted the PLO "observer status", following PLO president Yasser Arafat's "olive branch" speech to the General Assembly in November 1974. The resolution was passed with the support of the Soviet bloc, in addition to the Arab- and Muslim-majority countries, many African countries, and a few others. The determination that "Zionism is a form of racism and racial discrimination", contained in the resolution, was revoked in 1991 with UN General Assembly Resolution 46/86. 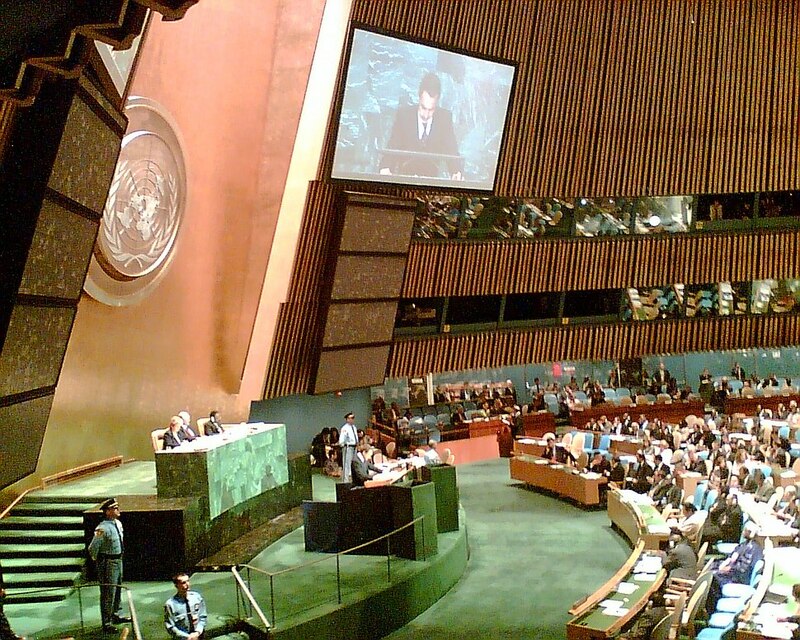 United Nations General Assembly Resolution 62/243, titled "The Situation in the Occupied Territories of Azerbaijan", is a resolution of the United Nations General Assembly about the situation in Nagorno-Karabakh, which was adopted on March 14, 2008 at the 62nd session of the General Assembly. It became the fifth United Nations document concerning Nagorno-Karabakh and the first United Nations General Assembly document on it. The resolution reaffirmed "continued respect and support for the sovereignty and territorial integrity" of Azerbaijan "within its internationally recognized borders", demanded the "immediate, complete and unconditional withdrawal of all Armenian forces from all the occupied territories of Azerbaijan", and emphasized that "no state shall render aid or assistance" to maintain the occupation of Azerbaijani territories. The resolution was adopted shortly after 2008 Mardakert skirmishes, which at the time had been the heaviest ceasefire violation between Armenia and Azerbaijan since the end of Nagorno-Karabakh War. United Nations General Assembly Resolution 65/265 is a resolution of the United Nations General Assembly which suspended the right of Libya to take part in the Human Rights Council. Adopted on March 1, 2011, the resolution was passed in response to Muammar Gaddafi's treatment of protesters in the 2011 Libyan civil war.